Textured Satin Blazer is rated 4.8 out of 5 by 8. 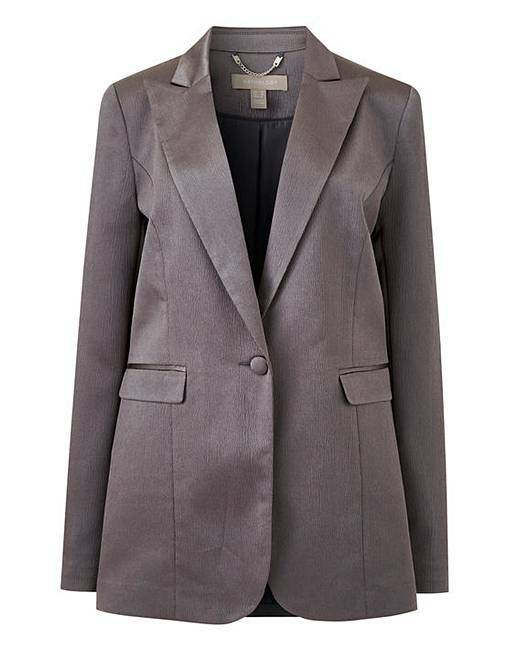 This gorgeous textured satin blazer is a perfect addition to your tailored look this season. Rated 5 out of 5 by Coops from Great fit, looks good. Good versatile jacket to dress up or down. A good addition to any wardrobe. Rated 5 out of 5 by Elsie from Looks Wonderful! I bought this jacket to take on holiday it works well with smart casual and dresses up evening outfits too perfect. Rated 5 out of 5 by Jules65 from Really smart classy jacket This jacket will see me through the feast Ive season and will be a smart jacket for any occasion.